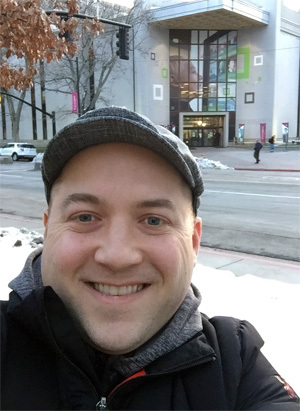 That’s me outside the Family History Library in Salt Lake City after a looong day at RootsTech! Genealogy Explained is an educational site designed to help weekend-warrior genealogists learn how to climb their family trees. My name is Marc McDermott. While not a Certified Genealogist, I have a deep passion for all-things genealogy. When I’m not working on Genealogy Explained, you might find me knee-deep in microfilm at the New Jersey State Archives, or doing research at my local family history center. My aim with this site is to break down complicated topics related to family history to help fellow hobbyists discover their family histories. I also want to share the story of my own research along the way. Learning the fundamentals of genealogy is critical, but it should also be fun. Whenever possible, I’ll use illustrations, diagrams, videos, and other visual learning techniques to help make complicated topics more digestible. Not sure where to start? Genealogy Explained is divided into different sections based on how most weekend warrior genealogists should progress in this hobby: Basics, Research Techniques, Managing a Family Tree, and DNA Testing. If you are new to the hobby, start with the basics and go from there. If you have any questions, feel free to contact me here or on Facebook. Please note that I don’t do any client work. So while I can’t break down your brick walls myself, my hope is that the information I share here will help you make breakthroughs on all your toughest genealogy problems. Speaking of brick walls and tough problems, make sure to check out the Genealogy Explained blog. That’s where I’ll tell the story of my own research. Follow along as I discover new sources, analyze information, and document my findings. I’ll talk about things I’ve learned in the process and the mistakes I’ve made so that others can learn as well.